The new initiative will provide opportunities for UT students across all majors to master the ability to “speak visual” through targeted curriculum modules incorporated into their existing course offerings. The Association of College & Research Libraries defines visual literacy as a set of abilities that enables an individual to effectively find, interpret, evaluate, use and create images and visual media. Visual literacy is a skill that is critical to effective communication, creativity and design thinking. UT President Sharon L. Gaber and TMA Director Brian Kennedy signed a memorandum of understanding for the collaboration at a ceremony Oct. 12 in the Museum’s Great Gallery. This collaboration leverages the strengths of TMA’s Center of Visual Expertise and the Museum’s experience teaching visual literacy to young K-12 students, as well as professionals in the industrial and manufacturing fields, in combination with the strengths of UT’s Center for the Visual Arts in art education, Jesup Scott Honors College in interdisciplinary learning, and UT Libraries in supporting information literacy. The initiative began with a pilot honors seminar course co-taught by UT and museum educators and an elective for medical students called Art and Medicine: Using Visual Literacy to Improve Diagnostic Skills. The curriculum module options will be expanded to be available to all courses on campus. The goal is to have the visual literacy modules adopted into at least 20 additional courses in spring semester. The effort is led by Dr. Heidi Appel, dean of the UT Jesup Scott Honors College, and Mike Deetsch, director of education and engagement at TMA, and involves a team of approximately 20 faculty and staff from both institutions who are contributing their time to this partnership. 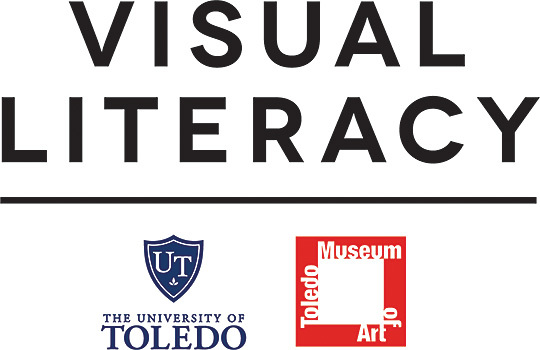 The visual literacy initiative was made possible, in part, with financial support from Judith Herb, a generous longtime supporter of both institutions. This entry was posted on Friday, October 12th, 2018 at 10:30 am and is filed under Arts and Letters, Honors, Library, News, UToday .